This class is for those who have just purchased a sewing or embroidery machine. It is for Singer, Husqvarna-Viking and PFAFF current models ONLY. 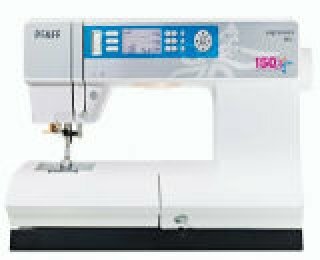 Topics: General maintenance and understanding of the basic features of your sewing machine will be covered. You will learn about the correct threads and needles to use, how to thread and wind bobbins, how to clean your machine properly, how to stitch and change stitches adjusting stitch length, width and tension for the fabric weight and type you are using. Cotton or polyester sewing thread (GOOD quality thread) NOT Coats & Clark or Dual-Duty or old thread. NO Embroidery unit needed in this class. This class is $60 EACH if your machine was purchased elsewhere.